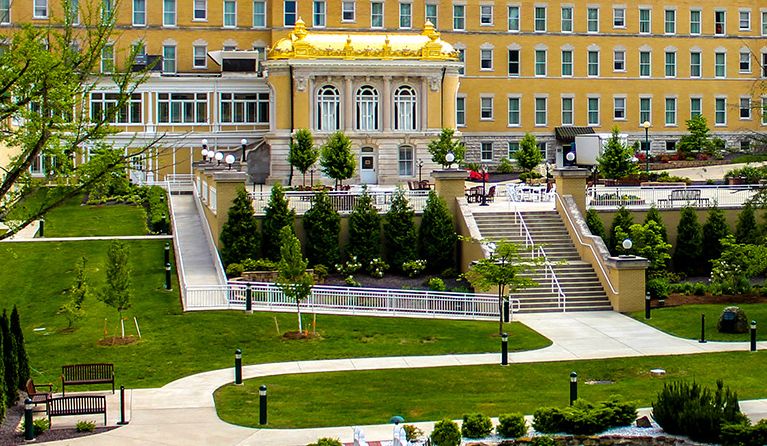 FRENCH LICK -- The French Lick Resort is getting a facelift. A $17 million overhaul will add 56 guest rooms and a new sports bar, according to Louisville Business First. The 54,000-square-foot addition will be located near the resort’s event center and casino. The first phase of the project is already underway. The six-story guest-room addition is slated for completion in the fall of next year. Chuck Franz, vice president of Cook Group, the resort’s parent company says the new addition will allow them to attract more business groups and free up more rooms for leisure and casino guests. Jasper-based Krempp Construction won the bid to be the project’s construction contractor. Company officials expect the move will require hiring more than 100 people to staff the new facilities and resort as a whole.